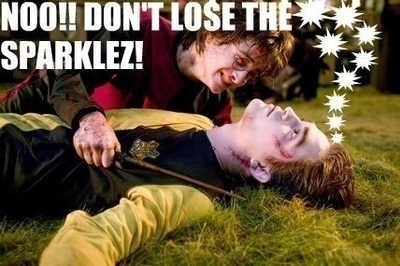 Don't lose the sparklez. . Wallpaper and background images in the Critical Analysis of Twilight club tagged: twilight sparklez harry. This Critical Analysis of Twilight photo might contain зеленый берет, спецназ, элитный солдат, зелёный берет, сил специального назначения, and стрелок. OMG! this is soo funny! I have tears in my eyes from laughing so hard!